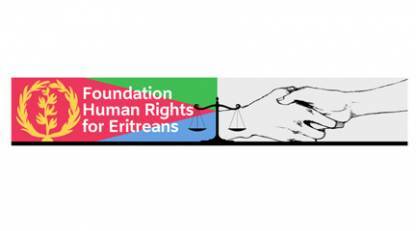 (01.04.2019) The Foundation Human Rights for Eritreans, a Netherlandsbased organization of exiled Eritreans, is taking legal action against the European Union. The EU is financing activities in Eritrea for which forced labour is used. This is a clear violation of human rights and the EU’s adherence to international legal obligations. Today, the EU received a letter in which the Foundation asked the EU to immediately stop financing these actions. The EU is providing €20 million to companies owned by the Eritrean government. The funds, provided through the EU Emergency Trust Fund for Africa, are for road construction. Labour will be provided by ‘national service’ conscripts, who are trapped for an indefinite period within the service. This has been described as “enslavement” and a “crime against humanity” by the UN. The European Parliament has called it “forced labour” and “a form of slavery”. The EU is therefore financing activities in which active use is made of this ‘form of slavery’. Eritrea is a dictatorship without democratic institutions, elections, the rule of law or respect for human rights. The aid is directly subsidising the dictatorial regime, as the EU funds will go to companies fully owned by individuals of the regime’s ruling party. No assurances relating to human rights have been given. The EU is committed in countless ways to upholding human rights in all its activities. Article 5 of the Charter of Fundamental Rights provides that “No one shall be held in slavery or servitude” and “No one shall be required to perform forced or compulsory labour”. Financing projects which make use of the forced labour of Eritreans is in direct contradiction of the EU’s principles, undertakings and obligations. The Foundation Human Rights for Eritreans, which helps Eritreans whose human rights are being violated, is challenging these unlawful acts. Human rights lawyer Mr. Emiel Jurjens of the Amsterdam-based law firm Kennedy Van der Laan has been instructed to take legal steps against the EU. On 1 April, a letter will be sent to the EU demanding an immediate halt to the financing of this scheme, and seek urgent discussion. (12.10.2018) Abraham T Zere: The peace deal with Ethiopia has not changed Afwerki’s Eritrea (external link) - If anything, it has actually strengthened his regime.